BALTIMORE -- Prosecutors say a third video from a Baltimore police officer's body-worn camera shows questionable activity by police. Marilyn Mosby, Baltimore's state's attorney, said in a news release Monday that the video was recorded in June. She says it was "self-reported" as a re-enactment of the seizure of evidence. Mosby says police notified her of the video this month. Prosecutors identified about 100 criminal cases that have been and or will be affected by the video. Forty-three of those cases were dropped. Mosby's office last month announced the dismissal of cases that relied on the testimony of one or more officers in another bodycam video from January. Defense attorneys said that video shows an officer planting drugs. On Monday, Mosby's office said the total number of cases to be dismissed linked to that video is 68. 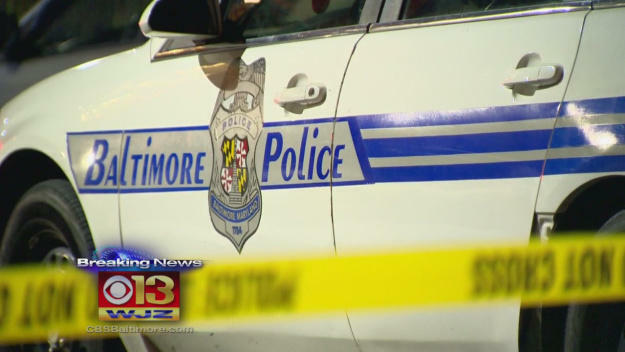 Baltimore Police Department Commissioner Kevin Davis said in July police are investigating whether the officers in the January case "replaced drugs that they had already discovered to document the discovery with their body-worn cameras on." Another video made in November shows an officer find a bag of alleged drugs shortly after another officer's unsuccessful search. In 44 cases linked to that video, prosecutors have either asked for more time to investigate, dropped the case or will drop the case if a delay is denied. Neither Baltimore Police or Mosby's office would provide more details about the latest case or the video to the Baltimore Sun. Mosby's office declined to release the video to the newspaper. It's not clear whether the case involves drugs. "This is not an allegation of planting evidence. This is a self-reported situation where the officer felt that it deserved more scrutiny based on the things that have been in the news," police spokesman T.J. Smith told the paper. "We are aware of it and it is something that we are looking into." All three videos remain under investigation.